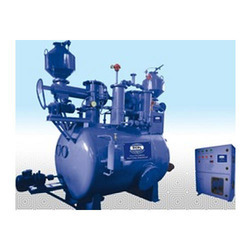 Dissolved acetylene gas plants are used in wide variety of industries for generating acetylene gas. Acetylene industrial systems are manufactured with superior technology and deliver top-class performance. We are the leading manufacturers of dissolved acetylene plant that are fabricated with the superior technology and high quality raw materials. We import the technology imported from a reputed Italian industrial gas plant manufacturing company. Our plant is fully automatic, low power consuming and high performing. Acetylene is generated by having chemical reaction between calcium carbide and water and the gas can be stored in tanks for later use. Our dissolved acetylene plants are technologically advanced products fabricated with raw materials bought from the approved vendors. The plant machinery is manufactured in compliance with international standards. Our acetylene gas plants come in sizes ranging from 25m3/hour to 200m3/hour. We also offer amazing after sales service that is attentive to the problems of customers. We are the leading manufacturers of dissolved acetylene plant that are fabricated with the superior technology and high quality raw materials. Acetylene is generated by having chemical reaction between calcium carbide and water and the gas can be stored in tanks for later use. Looking for Dissolved Acetylene Plants ?